Building stronger communities for over 23 years! Homebuyer Education assists those who are looking for guidance in purchasing a home. Joseph Corporation counseling will help walk with you through the steps of the home buying process. This program is designed to allow you to discover how you can become a homeowner. Preparing future homeowners to better understand the home buying process and be successful homeowners. We will help you understand your mortgage. We will explain lending and the basics of the different mortgage products so you make the right choice for financing your home. Additionally, we will help determine if you qualify for grants or low interest loans to help you buy your home. We will educate you about the different types of down payment and closing cost assistance offered by banks, city governments and other down payment assistant sources. Joseph Corporation homebuyer counseling services will help walk you through the steps of the home buying process and learn about down payment assistance programs and other homebuyer resources. Credit reports and how they effect your home purchasing. Down payment and closing cost assistance. Understanding your Mortgage: We will explain lending and the basics of different mortgage products so you can make the right choice for financing your home. We will help determine if you qualify for grants or low interest loans to help you buy your home. We will educate you about the different types of down payment and closing cost assistance offered by banks, city governments and other down payment assistance programs. Obtain a home buyer packet, English or Spanish. Complete and provide all requested documents. Complete the Homebuyer Education Seminar online. * Seminars can be completed 24/7 by going to www.ehomeamerica.org/josephcorporation for a fee of $99.00. After your Home Buyer Seminar, you will have a one-on-one appointment with HUD Certified Counselor that will: review your credit and credit score; review your monthly budget; and provide prequel educational session. After this you will then receive a overview of lenders who participate; different loans that are available to you as well as what grants are available for you. * After the online course a 45-minute one-on-one session with a counselor is still required to receive the certificate. Joseph Corporation is proud to offer the Framework homebuyer course. Buying a home is a big deal, whether you’re doing it for the first time or getting back into the ever-changing market. When you educate yourself for smart homeownership you’ll navigate the entire process with confidence. Joseph Corporation is proud to offer the Framework homebuyer course. Framework is the most comprehensive of its kind. It meets HUD guidelines and exceeds National Industry Standards for Homeownership Education and Counseling. What does that mean for you? 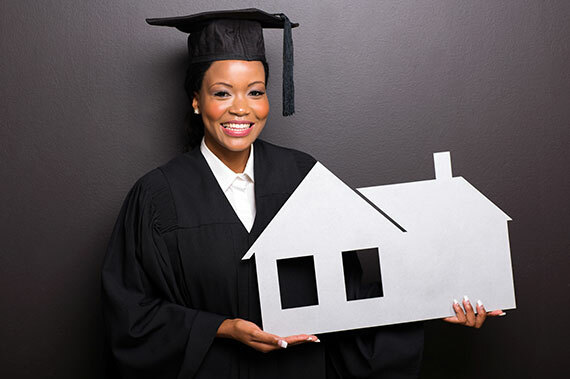 Our course is accepted by most local and national mortgage products and first-time homebuyer incentives that require education. Copyright © 2019 Joseph Corporation All rights reserved.